The scoreboard uses standard USB over Serial drivers which are installed on most machines by default. 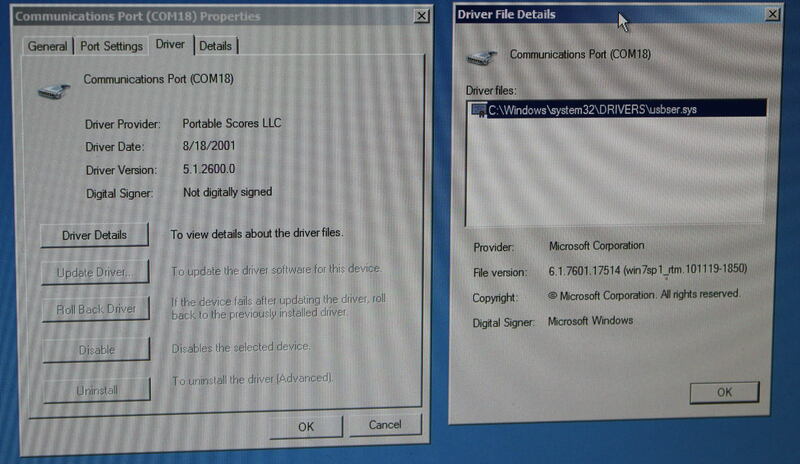 Our task here is to tell Windows to use those drivers, which is the point of the .inf file. 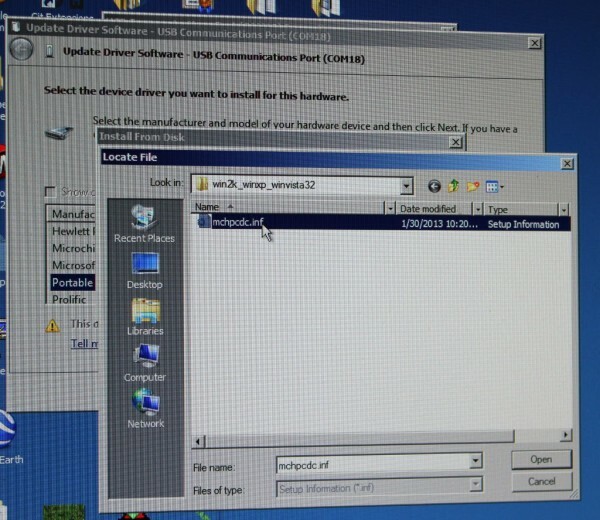 To begin, go to Devices and Printers in the start menu. 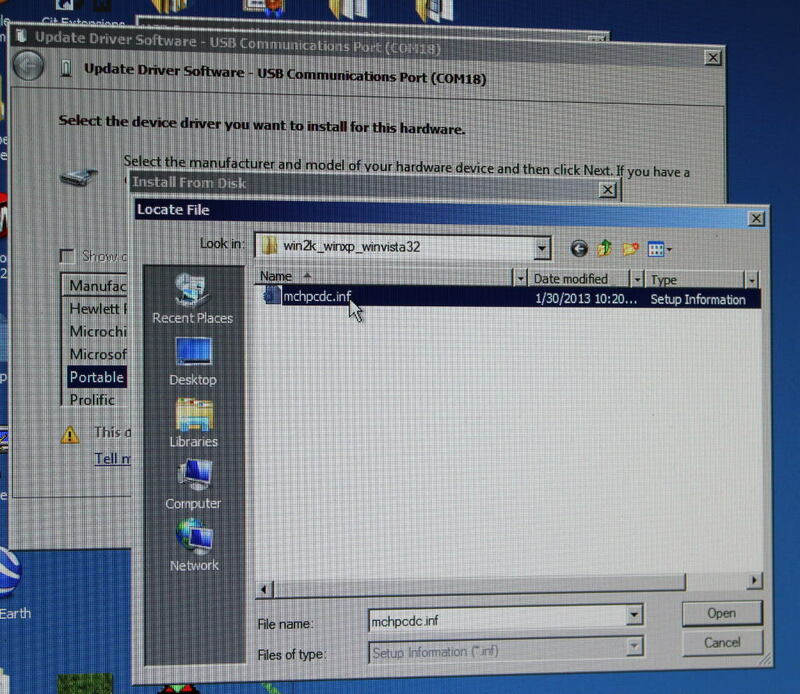 You should see an unrecognized device, or an Electronic Scoreboard device, or a Communications Port device. If you unplug the scoreboard and it goes away, that’s the one we want to fix. 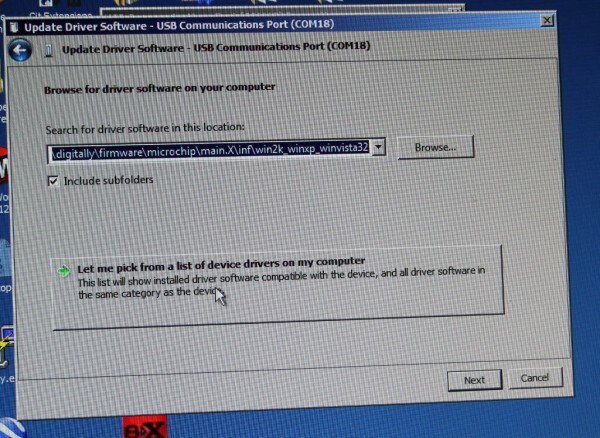 Right click on it and go to hardware, properties, then click Change Settings. You don’t want to click on Search Automatically; we already know Windows isn’t very good at figuring out the right driver. 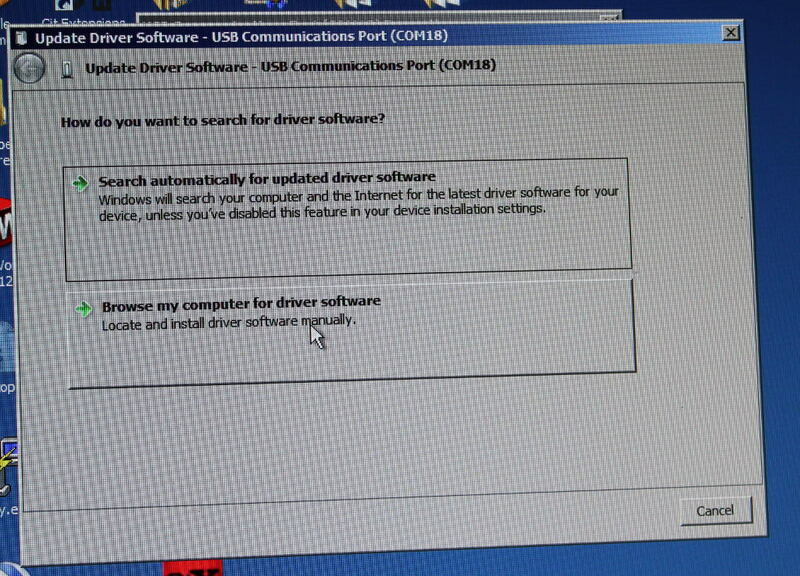 Click on the lower option to specify the location, the upper option doesn’t always work very well, especially if Windows thinks it’s already installed the best driver for your hardware. Now tell Windows that you have the disk. 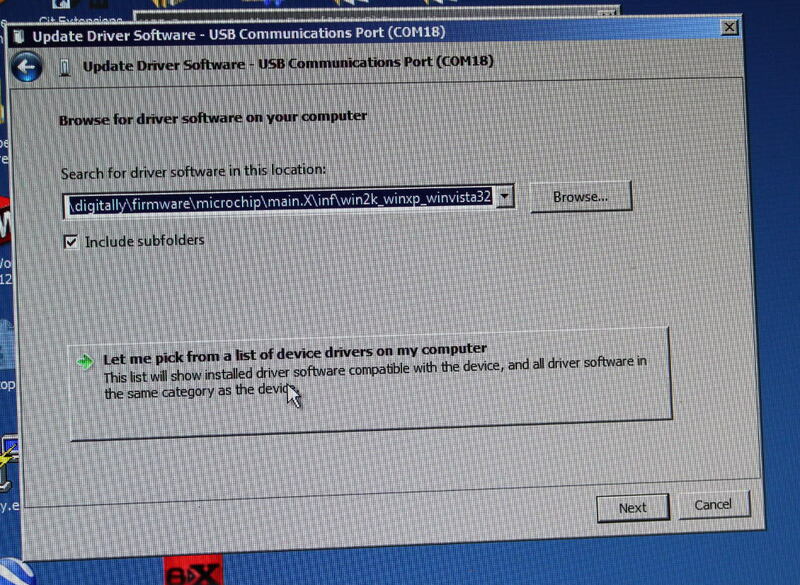 Choose the location of the driver you downloaded. 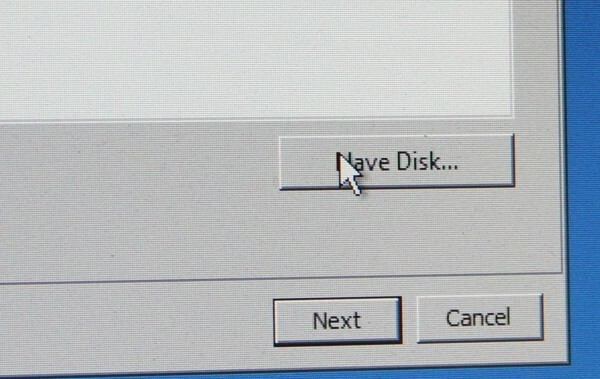 Navigate to the folder you downloaded that contains the .inf file. It will show a “Communications Port”. Choose that. 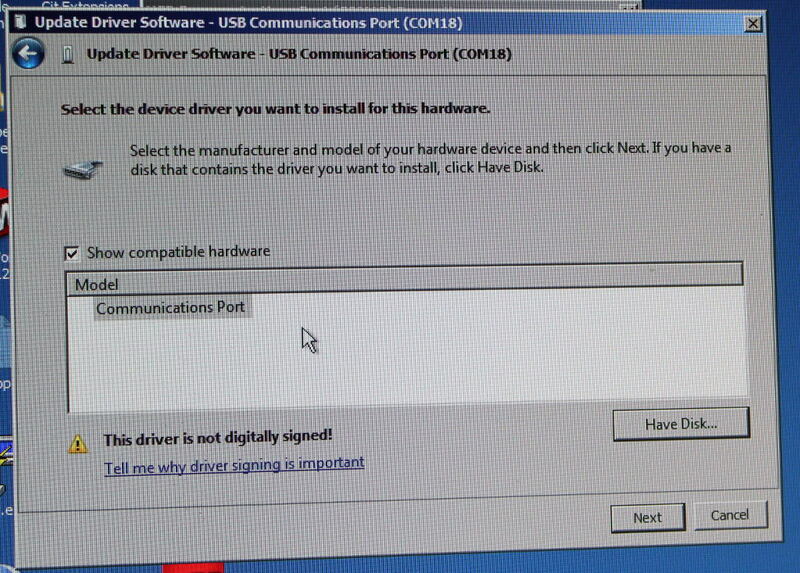 NOT “USB Communications Port”. Yay! It should install. It might warn you about installing an unverified driver. 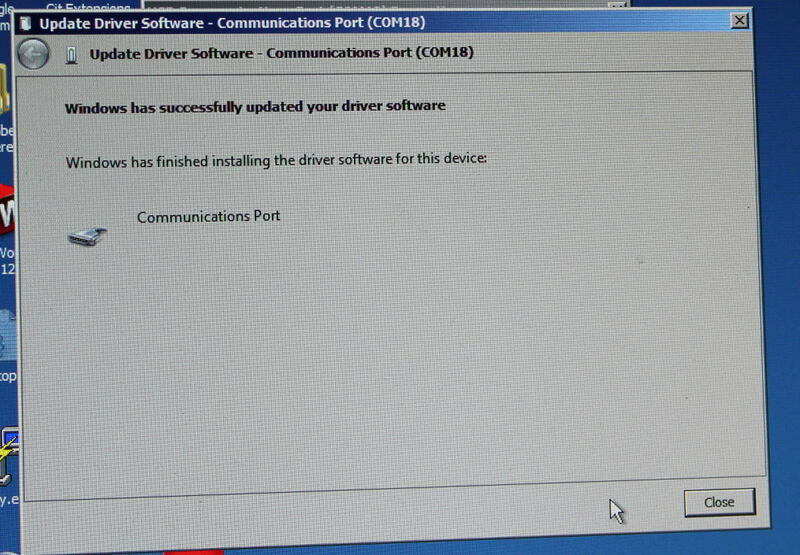 Ignore the warning and continue the installation. 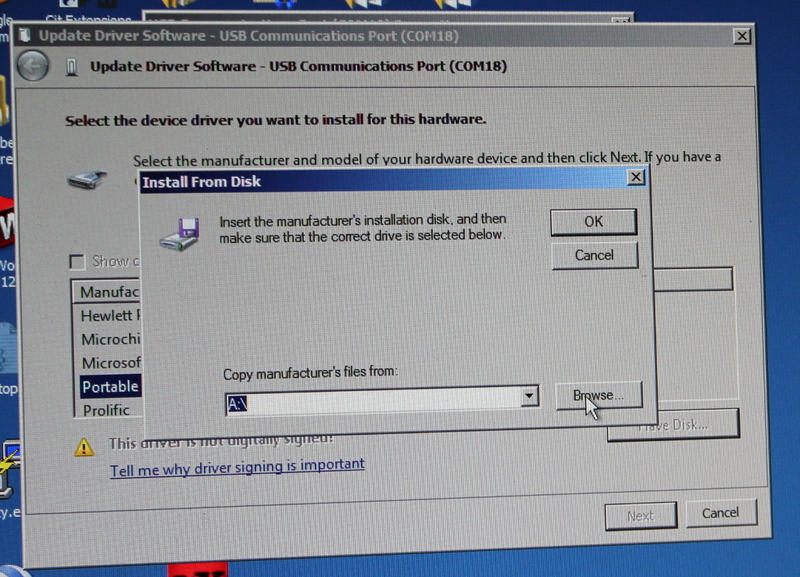 Hopefully you’ll see this screen after it installs. At the end, the driver details show which driver it is using. 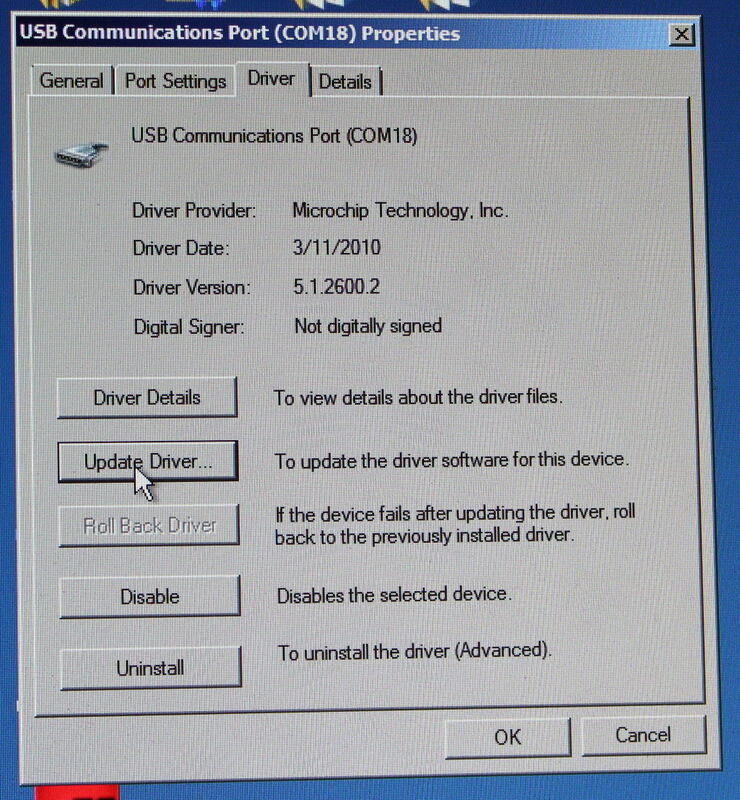 Going back afterwards and looking at the driver details, you can see that it’s using the C:\windows\system32\Drivers\usbser.sys driver.